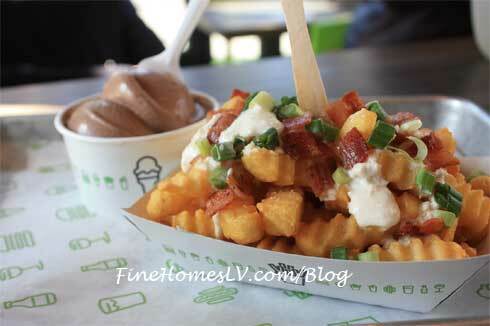 Celebrate St. Patrick’s Day at Shake Shack at New York-New York Hotel and Casino Las Vegas with a special edition When Irish Fries Are Smiling and Chocolate Mint Frozen Custard. The green with envy crinkle-cut fries are topped with horseradish cream, scallions and crispy all-natural applewood smoked bacon. The Leprechaun-approved fries ($4.50) are available Tuesday, March 17th.